Welcome to the Pottery Market. 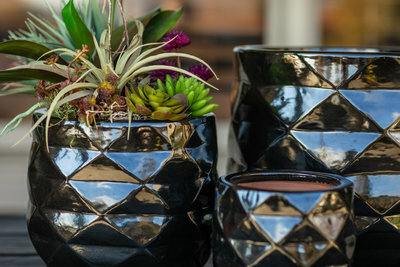 Our goal is to provide you with distinctive high quality pottery at competitive prices and unmatched customer service. 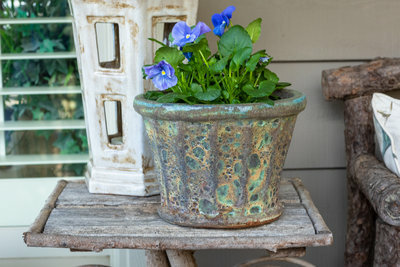 We offer a diverse selection of designs and finishes from highly styled unique containers to basic good sense garden pots. Our terra cotta is produced along the Mekong Delta in Vietnam. While considered frost “resistant”, we recommend special care during freeze thaw conditions and storing in a frost free covered area in winter. 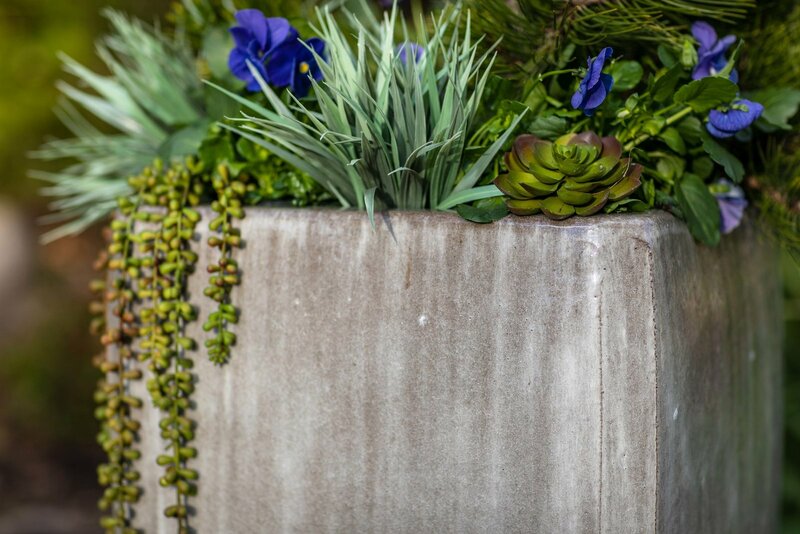 Terra cotta will naturally age and colors may change as the mineral content comes out from the natural components. 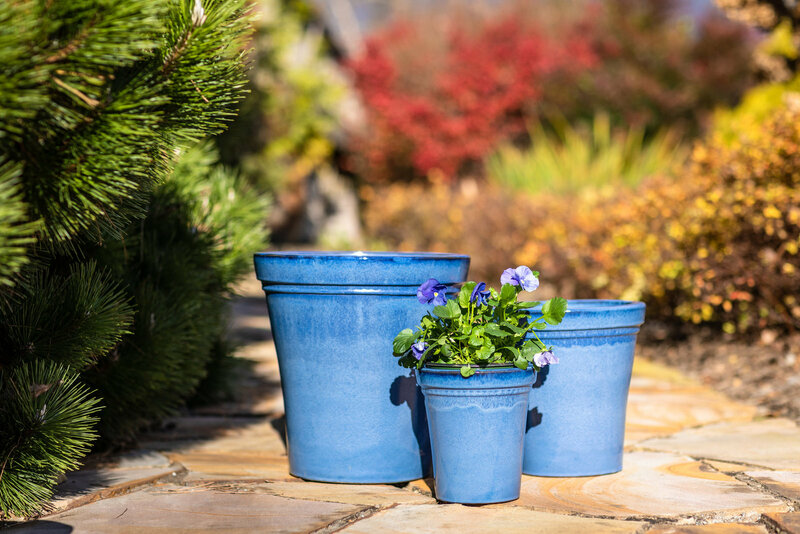 We always recommend proper drainage for all pottery and offer terra cotta pot feet to elevate your pot and allow proper drainage and air circulation. 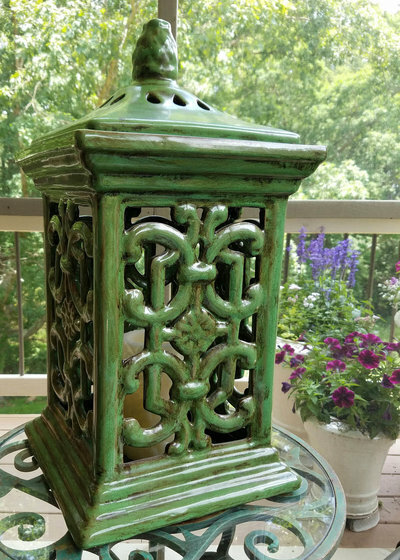 We offer Lanterns, Birdbaths, Herb Planters, Spheres and several pot feet styles in most glazed and terra cotta colors we offer. Most of the Items in this section will require winter care and should be placed inside to prevent cracking during winter. 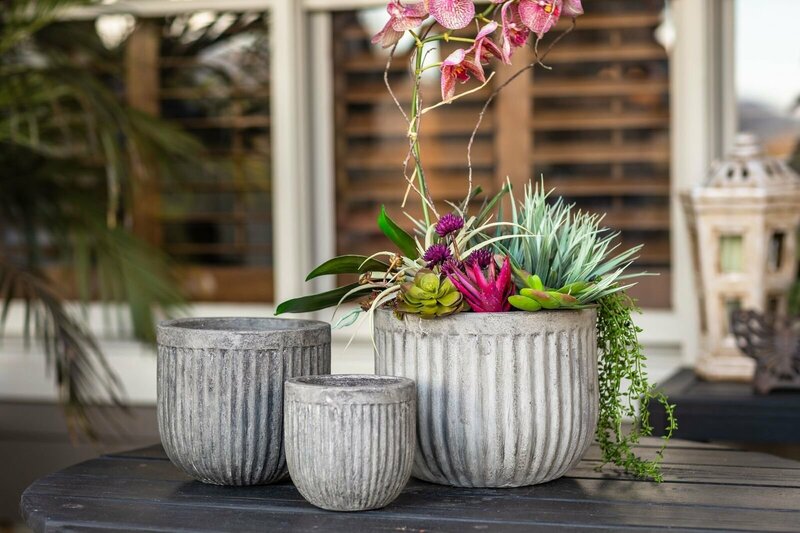 Our ceramic and cement indoor pottery collection is suitable for both indoor and outdoor use during much of the year. It should be placed indoors or covered during harsh winter months. All have drainage holes and most come with a plug and rubber feet to protect the surface it is placed on. We have arranged our catalog according to overall dimensions. 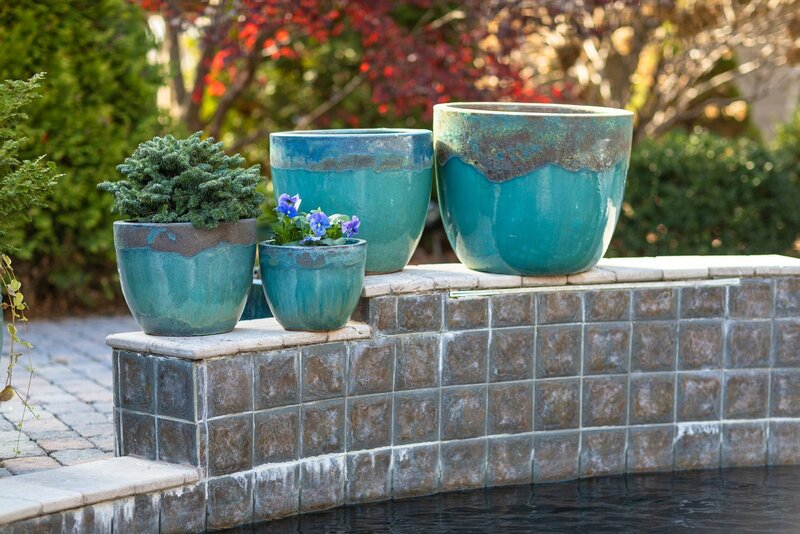 Our small glazed pottery consists of sets where the largest dimension (Height or Width) measures 17” or less. 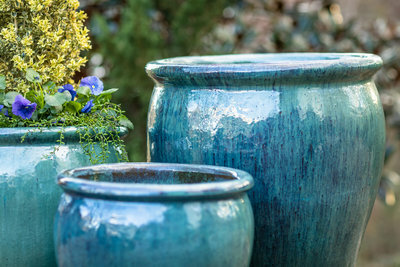 Our glazed pottery is produced in Vietnam and China and high fired at temperatures of 1000-1300 degrees C using both wood fired dragon kilns and gas kilns. 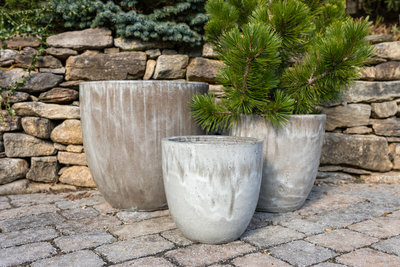 The process creates the unique characteristics of handmade pottery, therefore slight variations in color, smudges, size, glaze markings are to be expected creating the unique beauty of each piece. We have arranged our catalog according to overall dimensions. 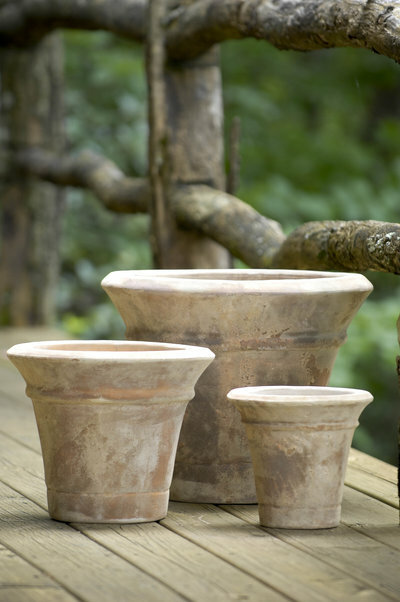 Our medium glazed pottery consists of sets where the largest dimension (Height or Width) measures between 18”-23”. 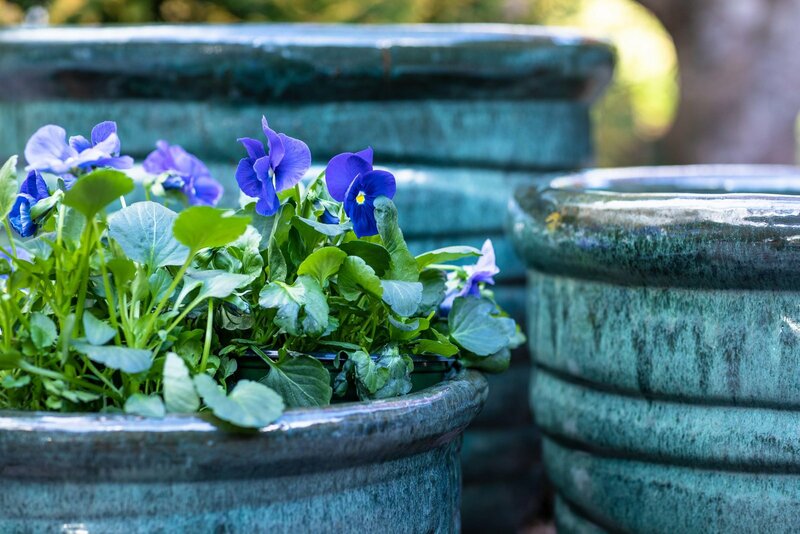 Our glazed pottery is produced in Vietnam and China and high fired at temperatures of 1000-1300 degrees C using both wood fired dragon kilns and gas kilns. 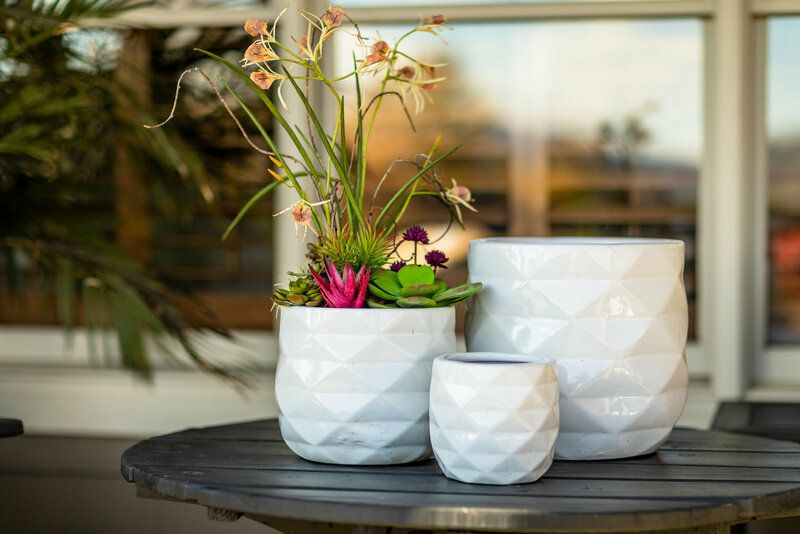 The process creates the unique characteristics of handmade pottery, therefore slight variations in color, smudges, size, glaze markings are to be expected creating the unique beauty of each piece. Items pictured in catalog may be available in color shown and/or other colors. Please request a Current Availability List when you are ready to order. We value our relationships and promise to work hard to keep you satisfied. Our goal is to keep you committed to us by offering great selections, fair prices, and “personalized” superior service unique to each customer’s specific needs. Give us a call as we would love the opportunity to discuss our offerings or arrange a visit. Every customer matters to us and we promise to work diligently to earn your trust and confidence as a supplier. Our success has been built on our ability to respond and be flexible as your needs require. We want you to keep coming back! Be the First To Learn about New Arrivals!